Duo End Table, with drawer. Shown in cherry. Duo End Table and New Haven Bed. Shown in cherry. 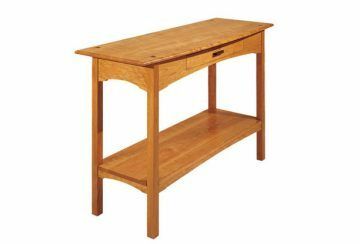 Duo Console Table, with drawer. Cherry. 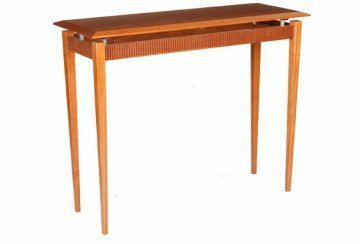 Duo Console Table, no drawer. Shown in cherry. Built with hammered copper accents, the Duo Tables sport striking contrasts and texture. They are a part of the Duo Series which includes the Duo Bed.